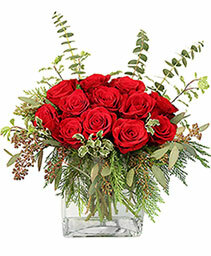 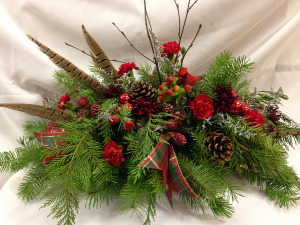 This stunning centerpiece will add a woodsy, festive look to any table this holiday season. 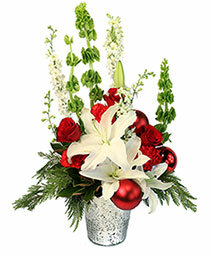 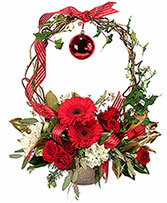 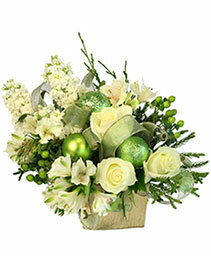 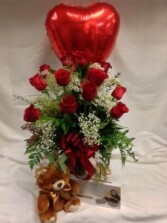 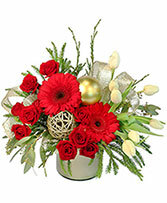 Shown with assorted evergreens, berries, carnations, ribbon, twigs, feathers, pinecones and holiday ornaments. 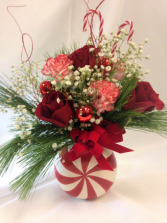 Striking Peppermint Pizazz will send loving thoughts this holiday season. 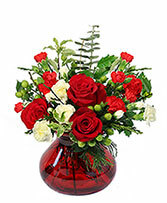 This lovely arrangement is designed in a fun peppermint ceramic container with fresh pine, red roses, peppermint carnations, glittered with red ting, and accented with candy canes and baby's breath. A red bow gives that pop of holiday feeling. Substitutions may be needed based on availability. 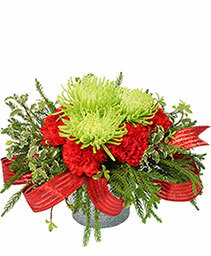 Send warm holiday wishes with this frosted pine centerpiece. 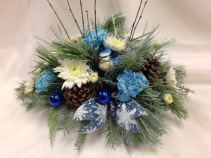 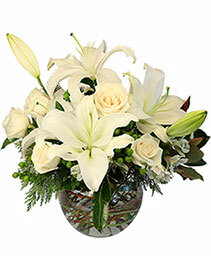 Blue and white flowers are accented with ribbons, cones, and a blue bird. 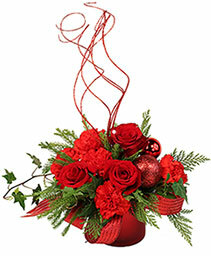 A stunning design. 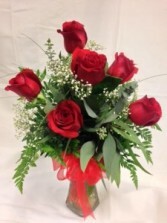 Substitutions may be used based on availability.